Do you shoot to kill? Or, do you shoot to stop a threat? Do you make comments on the internet about these choices before you even need to make them? There's this man who hates to see criminals getting away with murder, thievery, and all other crimes to the extent that he heavily voices his opinion on the matter each time a criminal is shot but doesn't die. He screams from the proverbial social media rooftop that he'd kill anyone in his path, to save his life, the life of a loved one, or even the life of a stranger who is deemed worthy by him. I would've emptied my magazine on that dirt bag. That scum-bucket deserved to die! Why didn't she keep shooting until he was dead? Every one of these comments goes un-noticed until he needs to defend himself one day, with his firearm, where a criminal actually does die. 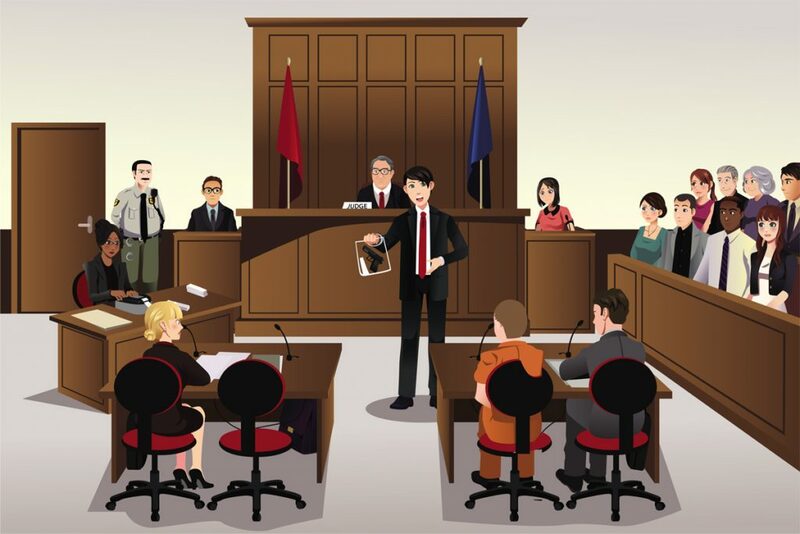 We all understand that we may face criminal charges or a civil lawsuit but we seem to believe that the prosecuting attorney (or plantiff in a civil lawsuit) will only be referencing our actions beginning with the deadly encounter. Unfortunately the prosecutor/plantiff will likely dig up anything in your past that will support their case. Comments you have left on blogs (like this one), comments on Facebook, tweets, and that conversation you once had with a friend. It is all subject to examination in the court room. They CAN and likely will present any evidence that supports their narrative of the case no matter how absurd it may sound to you. And if your comments online support the narrative that you are a trigger happy gun owner who thinks that all people who step out of line in your presence deserve to “die die die” then I'm guessing the jury or judge will consider that highly relevant in considering your motive or intent. Would those online comments by themselves win a case against you? It seems unlikely but they could strongly support a false narrative that could land you in jail or slapped with damages that will take a lifetime to pay. Think this is crazy? It isn't. In Zimmerman's trial the prosecutor made a big point to suggest that Zimmerman was a bad person who wanted to kill people because he went so far as to carry a round in the chamber. You and I know that is a common practice and isn't indicative of anything but did the 12 jury members know that? I'm sure this is about to stir up some emotions in the self-defense and concealed carry worlds, but it needs to be said for everyone's benefit. We need to think twice before we put anything on the Internet that could incriminate us later on in court. For the purpose of today's discussion let's put off to the side the moral implications that say: you shouldn't really ever want to kill someone. Instead, let's focus on the legal ramifications of you saying you'd put an attacker out of society's misery. Before we get there, let's talk about what my intent is and is NOT with this article. Put simply, my main goal is to get you to think before you speak–and NOT to stifle your free speech. In other words, if you want to go on the internet for all to see and make a comment about how you'd kill a person … who am I to tell you not to? I can tell you that it's not a good idea, but in the end, if you want to make that choice, it's your decision to make. When you use your firearm in self-defense, don't shoot to kill, shoot to stop a threat. Do some people die because of those wounds inflicted by you? Yes. But, if you travel through life with the mindset of shooting to stop a threat, your bases will be covered both legally and morally. Now that we've gotten that out of the way, let's move on to why commenting about killing bad guys can hurt you. Many folks make the mistake of thinking that something they say on the World Wide WEB cannot be used against them. They'd be wrong. To make things even more interesting, things you say on the internet aren't ever truly gone. They are still there, and can be retrieved and used against you with a court order. People also tend to make the mistake of thinking the things they post on social media are private just because of their selected privacy settings. Truth is, it is private. But only until you hit “post.” If a friend of yours shares something you posted and their feed is set to public, guess what? You made a public post, and may not even realize it. Further Facebook (or any website) can be subpoenaed to provide records of your online comments and conversations regardless your privacy settings. Court orders are court orders afterall. Worse, things like this generally have a snowball effect. In other words, as the snowball rolls downhill, it gets bigger and bigger. Social media compounds this effect, and if you post something stupid it could go viral. The general rule that citizens need to know is that by exposing information about yourself on social media you are essentially waiving your privacy rights. A person can’t scream at the top of their lungs in an open room the most private fact about themselves and then expect it to go unheard. The same is true about social media. By posting on sites like Facebook, Twitter,and Instagram, you are essentially consenting to whatever information you disclose to be made public. Even if your profile is set to private, your friends could end up sharing your content. Once public, that information is now available to everyone…including the government. If you are under investigation or suspect you might be under investigation for a criminal offense, and you have social media profiles, never post anything if you think it has even a remote possibility of hurting your case. I'm obviously not an attorney. I'm just a gun guy trying to help out as much as possible. But, many of these thoughts are not my own. I'm just applying them to the gun industry. The above was taken from the BH&W Lawfirm's website. In that above quote from an actual attorney who practices law, he says never post if it could hurt your case. For us gun owners who take self-defense seriously, that means that we shouldn't say anything that could potentially incriminate us in court, in anticipation of a defensive gun use. Why do we carry guns? Just in case we need to defend ourselves, right? It's the same reason we've got fire extinguishers, and fighter pilots have parachutes. Just in case. Therefore, since we walk around town (and everywhere else, I might add), with our guns attached to our hip, in our pocket, ankle, shoulder, purse, etc., wouldn't it be wise to choose our words wisely “just in case” we have to defend ourselves with our firearms? You may think you have internet rights, and while there are some, it's not like the real world. Case in point, a recent case determined that users don't have 4th Amendment Rights when they use a third party's website, like Facebook, Twitter, or any website where you can interact with others in comments, etc. That's a huge problem. Even if you're in your own house when you make a comment, you lose your rights once it's posted. The amount of people who say things that could hurt them later on in life when presented with the perfect storm of circumstances is unbelievable. It's my personal choice, especially since I work front and center in the gun industry, to err on the side of caution. To me, it's better to be safe than sorry. But I don't say things like: Shoot to kill. Now, I say things like: Shoot to stop the threat. It's safer legally, and frankly is aligned with my ethical feelings on deadly force. I don't actually want to take another life and you shouldn't either. What about you? How do you approach this topic? Should Private Businesses Be Able To Ban Concealed Carry on Their Property? 5 Responses to Is It Smart To Say on Facebook That You’d Kill Your Attacker? We teach this exact thing in our CCW classes. We have actually had people argue and get mad because we were not endorsing “kill”! If they die, so be it. But once they stop being a threat, stop shooting. Thanks Jacob. Plain language for a complex legal issue that too many gun owners don’t understand. I’ve always been interested in the law and particularly as it relates to the things I’ve been called on to do i.e my first career in safety and security, business, as an EMT, even landscaping and consulting and especially concealed carry. I’m sure that you even had to dance around finding the correct words to relate this article in the best light for you. That can be difficult when commenting on emotional, local issues, including topics not related to guns or self defense. Take, protesters blocking a highway, your social media comments here can work against you. Saying you’d never stop, or you’d run them over would sound very bad for you when read by a prosecutor who felt differently than you if you were ever in a simple accident and someone was injured. Besides social media you should also watch what you text. Your phone records are discoverable and you can actually be forced to unlock you phone with a finger print scanner on it. Although they can’t force you to unlock a phone with a pin. Having a sound defense means you live properly and don’t make statements on social media or text that would put you behind the curve in any shooting defense. Good points, Rob. I also try to watch what I say in emails, as well. At the end of the day, anything can be used against you at any time. I know this is an older article, but I was wondering about cases that this has applied to. I’ve been making this argument to some people and would love to have an actual case (s) where comments have been used against someone.